This page will feature flyers, pictures and information you can download, print or share with others to help educate them about mini pigs. This is a pig basics guide we created for animal control or animal shelters in general. Printing it and physically delivering to any humane society, SPCA or county/city animal control related entity would be helpful, however, if emailed to someone, there are clickable links within the guide as well. 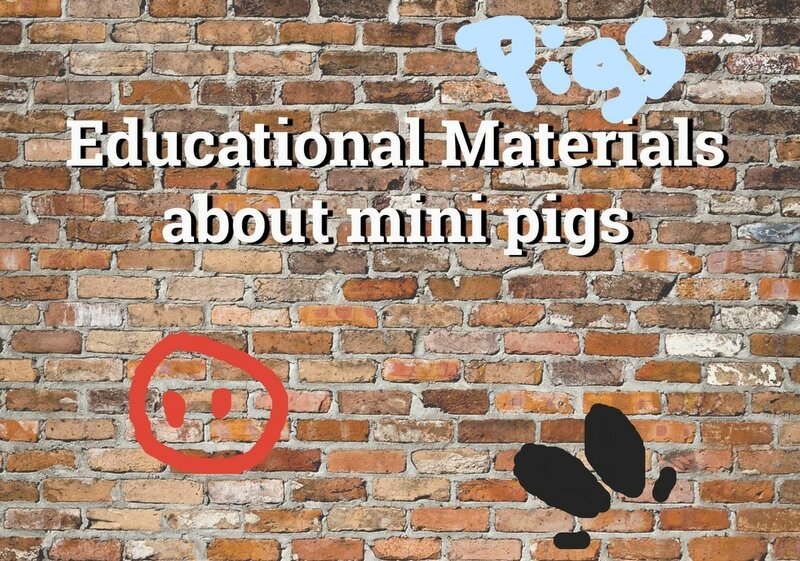 We created a storefront where you can download, print or send links with information about mini pigs. You can use this information any way you see fit to help educate the general public about pigs. Feel free to post flyers at local pet stores, send information to others/friends and hand out during pet expo's or other public events whenever there is an opportunity to do so.